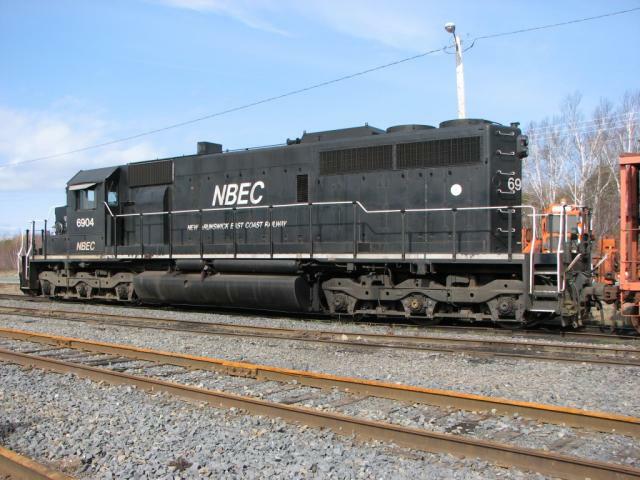 NBEC 6904 is an SD40, formerly CN 5021 (class GF-30d). 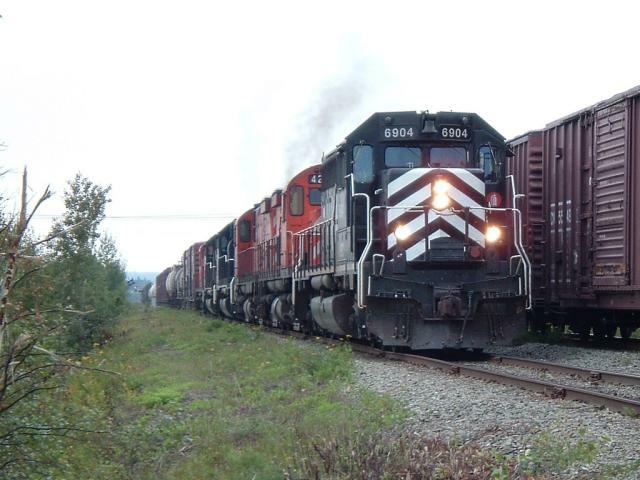 It was built in 1968, retired from CN on April 30, 1998, and rebuilt by Alstom by the spring of 1999 for NBEC. 6904 spent some time on the Sydney Coal Railway (former Devco) in Nova Scotia in July and August 2003 to evaluate its use with their trains. 6904 leading NBEC train #403 at Miramichi, August 27, 2004. The full consist was 6904, NBEC 4210, NBEC 4214, NBEC 6900, CFMG 6909, and NBEC 1816. The last two were “dead in tow”. 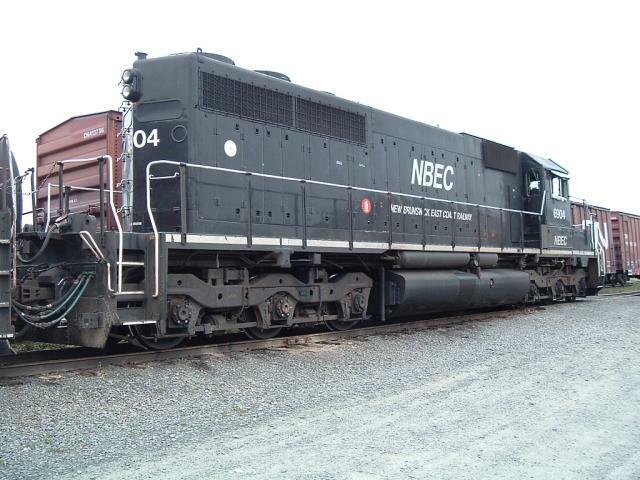 The rear of NBEC 6904 at Miramichi, August 27, 2004. 6904 in Miramichi, May 1, 2008.